Courtesy of Environmental BioTechnologies, Inc.
Soils contaminated with hydrocarbons are generated during oil and gas production. Remediation by land treatment is a popular, inexpensive option however, in cold climates temperature limits the time available for treatment each year. Companies would prefer an economical, low maintenance treatment alternative which could operate throughout the year in cold climates. Environmental BioTechnologies, Inc. (EBT) would like to present composting as a treatment alternative for oily contaminated soils in cold climates. Composting is a bioremediation method for the treatment of oily soil/sludge conducted by adding bulking agents (wood chips, straw, and other organic matter) to improve the texture, air permeability, water holding capacity and organic matter content of the contaminated soil. Heat generated by the microbial degradation of the hydrocarbons and other organic matter is retained within the pile which increases the rate of the biochemical process, promoting more rapid degradation of the oil. USA (*), conducted two field trials demonstrating composting in cold climates. The first site was located at Exxon Company USA's Big Stick Madison Unit in Billings, North Dakota. Composting of the soils was accomplished by adding gypsum and/or manure, placed in five windrows, with nutrients (urea and triple superphosphate). The windrows were watered weekly, and tilled monthly. After 14 weeks, 44% to 72% of the total petroleum hydrocarbons (TPHs) was degraded. Temperature data indicated that the windrows remained in the optimum growth range (20 to 45C) throughout the study in which ambient air ranged between -3C and 39C. The second composting site was in Alberta, Canada. Flare pit sludge was amended with cow manure, straw and fertilizer, and was placed into three piles with perforated pipe for passive aeration. The piles were covered with black polyethylene to retain heat and moisture. After 8 weeks, between 62 and 86% of the total oil and grease was degraded. After 43 weeks, 80 to 87% of the total oil and grease was removed. Temperature data showed that the compost pile did self-heat, even beyond the optimum growth range (20C to 45C). Temperatures remained high even though the ambient temperature dropped to below -20C. Composting was an effective treatment method for removing hydrocarbons from the Exxon and Imperial Oil contaminated material. Windrows and static biopiles achieved accelerated biodegradation rates. Because composting conserves heat generated by biodegradation, it is well suited for remediating wastes in cold climates. In addition, the temperature in the pile increases the rate of the biochemical process which can significantly reduce the time required to achieve remediation targets. Therefore, composting can work throughout the winter months, and extend the normal bioremediation season. Environmental BioTechnologies, Inc. (EBT) can provide technical support, bench-scale treatability studies, and field studies to support composting remediation projects. 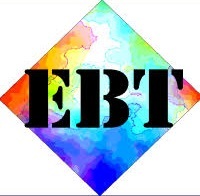 Based on results from laboratory studies, EBT can provide recommendations that will reduce contamination in considerably less time, and subsequently require less cost for maintenance and remedial operation. No comments were found for Composting of petroleum contaminated soil case study. Be the first to comment!